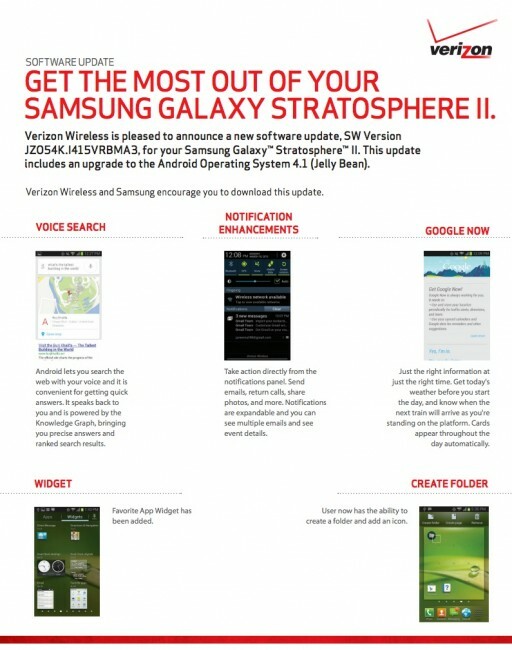 The Samsung Stratosphere 2 will begin to receive Android 4.1 (Jelly Bean) as early as today, March 27, according to Verizon. Since 2.5 people (.5 being someone’s cat) own this phone, I can’t imagine this rollout will take long, so keep your phones handy! But for those who do own it, get ready for Google Meow, better Voice Search, enhanced notifications, Verizon’s remote diagnostics tool, less bloatware, and better connectivity over WiFi. 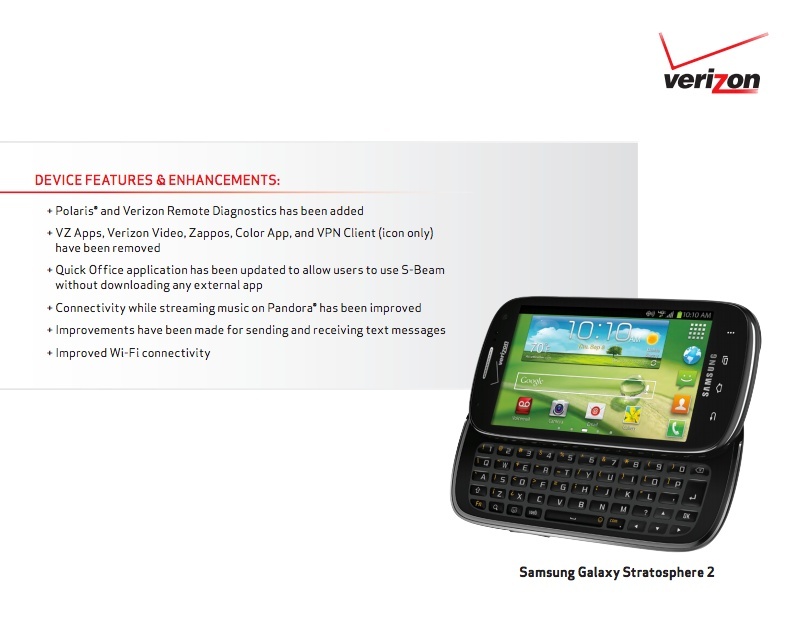 The update is 506.6MB in size (damn!). The build number is VRBMA3.